Full Service Listings Versus Limited Service Flat Fee Listings | Joe Hayden Real Estate Team - Your Real Estate Experts! Oftentimes, we are questioned about the differences between a full service listing and a limited service flat fee listing. Home sellers are rightfully concerned not only with the costs associated with selling their home, but also with the package of services included for that cost. Home sellers want to know the potential benefits of those services and if they can justify the costs. To Understand the Differences Between a Full Service Listing and a Limited Service Flat Fee Listing, You Must Understand All of the Costs Involved. When you pay for a real estate broker to list and market your home, there are several typical costs involved and a few that are not readily apparent. The actual fee for the package of services provided by the broker, whether a flat fee or a commission, is known at the beginning of the listing. What is unknown is how effective the marketing strategy of the broker will be and how much that may also cost you in addition to the listing fees. Holding costs, such as interest payments, taxes, utilities, and insurance, will add up over time and will also have to be considered. As an example, if the marketing strategy offered by your broker is ineffective, then your home may sit on the market for an extended period of time and that will encourage low offers which may cost you significantly. You may have holding costs adding up over time that will also cost you money. In addition, you may not reach enough potential buyers to ensure that your home receives the greatest chance for the best selling price, again costing you money through a lower selling price. If the pricing strategy is ineffective, this can also cause your home to sit for an extended period of time on the market. 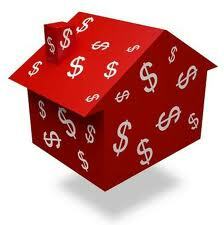 This in itself can encourage low offers and cost you money, in addition to the continuing holding costs. The secondary effect is that your price reductions will be noted by home buyers and they may make lower offers thinking that you are motivated to sell, which can be costly to you. Think about it - For a home seller, in many ways the ideal scenario for them is to sell their home for the maximum price, with the best terms, in the minimum amount of days, for the lowest possible cost, and for it be a positive, enjoyable experience. Of course, everyone's personal situation is different, but in general that describes an ideal home selling scenario. Complicating things, many of the factors in that ideal home selling scenario are out of the direct control of the seller and involve negotiations. The seller does have a choice, though, when it comes to the costs associated with hiring a real estate broker to market and represent their home. This makes the comparison between a full service listing and a limited service flat fee listing important. What Are the Costs of Full Service and Limited Service Flat Fee Listings? In general, there are two types of fee structures offered to sellers by real estate brokers and they directly affect the level of service available to the seller. The first type is a full service listing that is usually performed for an agreed-upon commission payable at closing, frequently costing between 5% and 7% of the home's sales price (shared between the listing and selling broker). The second type is a limited service flat fee listing that is paid upfront, usually in the $500-$1,000 range, plus a 3% commission offered to the selling broker. There is a third type as well, a hybrid between a straight commission and a flat fee paid upfront, with the benefit to the seller of a full service listing for a reduced cost. Limited service flat fee listings in general include placement on the local MLS, a yard sign, a lockbox, limited marketing and limited consultation time for pricing strategy and negotiations, and an agent may attend your closing. You are typically responsible for showing the home, paying for and doing additional marketing, plus researching pricing and negotiating strategies on your own. Full service listings, whether the fee is a commission or a hybrid between a flat fee and a commission, in general include placement on the local MLS, a yard sign, a lockbox, a specific marketing plan, a pricing strategy, showing services, help with negotiations, contract to close and transaction management services, plus an agent will attend your closing. You are responsible for making pricing and negotiating decisions, but in general management of the entire transaction is included with the brokerage fees. How Does a Full Service Listing Compare to a Limited Service Listing? When combined together, the limited service flat listing companies sold their listings on average approximately 5.0% less than the listing price in 2012. This means that a limited service listing for a home with a listing price of $100,000 can cost a seller $5,000 on average when comparing the listing price to the selling price, plus $500 (or more) for the flat fee and a 3% commission for the selling broker, for a total of approximately $8,350. We sold our listings on average approximately 1.7% less than the listing price in 2012. For a home listed at $100,000, this means that we helped clients negotiate on average approximately $1,700 off of their listing price. In addition to a 6% percent commission on the selling price (our brokerage commissions are variable), the total cost to a seller for our full service listing package averaged out to approximately $7,600 for a home listed at $100,000. Our full service listing package has the potential to save a seller approximately $750 over the average limited service flat fee listing for a home listed at $100,000. The flat fee listing average days on the market in 2012 was 117 days, while ours was 50 days. This means that we sold homes using our full service listing package on average 67 days less than the comparable average for a limited service listing. If you were to make the same comparisons with a home at a listing price of $500,000, the average total cost for a flat fee listing, including a selling price negotiated on average 5% lower than the listing price and the cost of the flat fee listing at $500 with a 3% commission to the selling broker, could be estimated at approximately $39,000. Our average total cost to the seller, with a selling price negotiated lower than the listing price by 1.7% on average and the cost of the full service listing at a 6% total commission, could be estimated at approximately $38,000 for a home with a listing price of $500,000. In addition, this home may have sold in fewer days on the market. Again, when comparing the costs of a full service listing to a limited service flat fee listing, there is an opportunity for real savings, plus a reduced days on the market, by choosing a full service listing package. 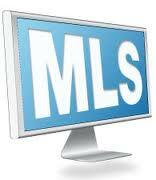 Carefully Weigh the Differences Between a Full Service Listing and a Limited Service Flat Fee Listing. These statistics may be surprising to home sellers who think that picking the lowest possible selling cost is the best way to save money when selling a home. There are additional costs involved with selling your home, both in real money and in time, that have to be considered when choosing between a full service listing and a limited service flat fee listing. In reality, this is just a glimpse at the differences in cost between full service listings and limited service flat fee listings. Home sellers have to weigh all of the factors involved to decide which route is ideal for their needs. It is best for a home seller to become educated about making wise choices and we offer free consultations to discuss all facets of listing and marketing your home. *Based on information from Metro Search, Inc. for the year 2012.